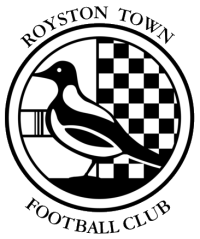 A shambles of a performance at home on Tuesday night saw Kettering Town‘s title chances take a huge dent and today’s game against Royston Town will be another tough test to see whether the Poppies can re-gain their composure and get their title challenge back on track. They welcome back Michael Riches after his suspension and will be looking to steady the ship and put in the kind of performance that served them so well in the first-half of the season. As predicted a tough encounter at home to Royston Town for Poppies but they managed to squeeze home at the the final whistle by the narrowest of margins after keeping a vital clean sheet. It was Aaron O’Connor who slotted home after being played in inside the area and a much improved all-round performance got them past the finishing post just in front. The visitors had a player sent off late on who was perhaps lucky to make it that far. It was certainly the kind of response Poppies boss Marcus Law would have wanted from his players as the performances / results of late have been very disappointing allowing Stourbridge not only to overhaul them but open up a gap. Today’s win coupled with a surprising loss to basement strugglers Hitchin Town for Stourbridge will go some way to restoring the confidence of the Poppies players. They now need to build on today’s performance and start piling the pressure on Stourbridge, with their next game coming up on Tuesday when they are at home to Coalville Town. The Poppies managed a 2-2 draw away to Coalville recently but will need to do better on Tuesday night at Latimer Park.